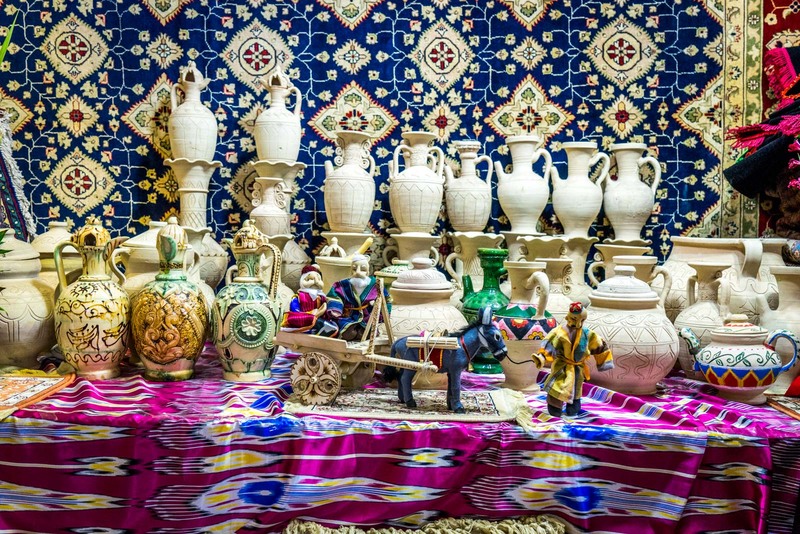 Last week I wrote about the Grand Bazaar in Kashgar, an old market that still thrives in the most western city of China. It was a vital part of the Silk Road trading network and, in my opinion, captures that era better than anywhere I’ve ever been. It is a fascinating place that transports you to another time, when camels carried goods across continents and the world traded ideas in the markets of mountains and deserts. 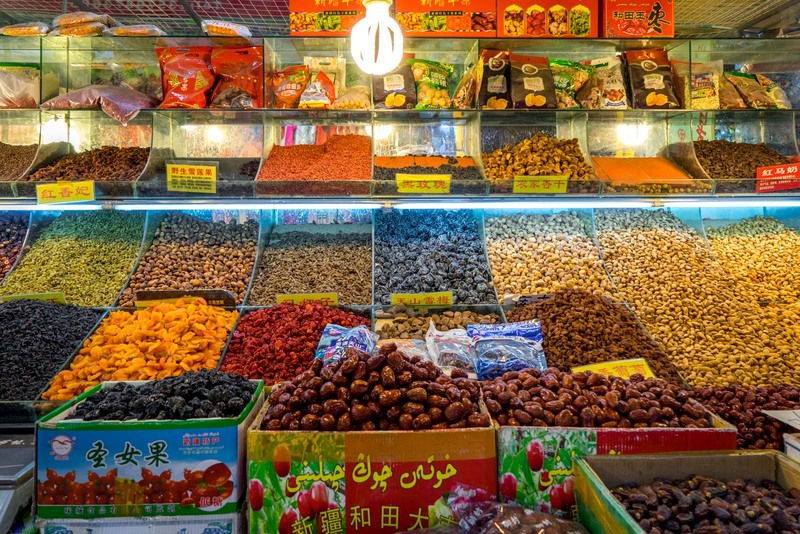 Best of all, the market in Kashgar feels authentic… because it is. Today I want to compare that experience to another market, this time in Urumqi. 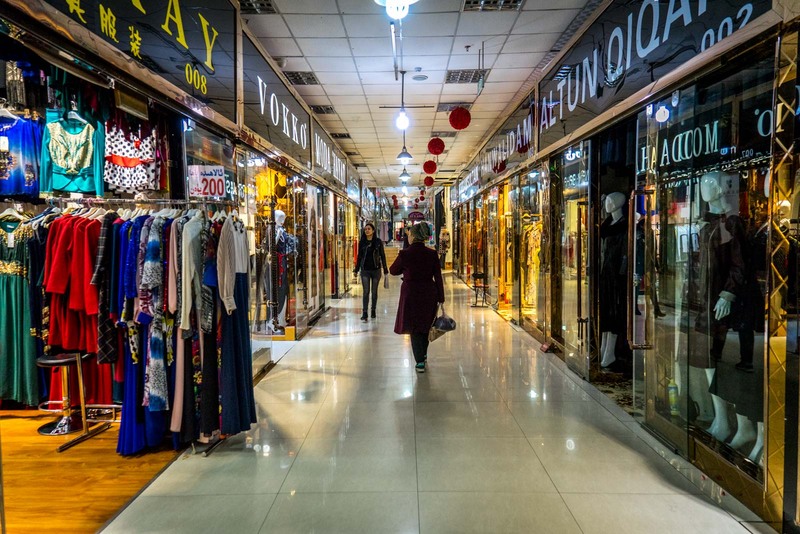 Also promoted as a window into the Silk Road, the Urumqi bazaar feels like the complete opposite. It feels inauthentic… because it is. Urumqi and Kashgar are in the same region of China – Xinjiang – which is the largest of the Chinese regions. Urumqi is the capital city but about a 1500 kilometre drive from Kashgar. They are not close and they are not similar. Kashgar still feels much more like an outpost, isolated and dusty, with old world markets and street vendors. Urumqi is like a more typical Chinese city, large skyscrapers and apartment blocks, with neon lights and traffic jams. Urumqi has a population of about 1.8 million people while Kashgar has about 350,000. 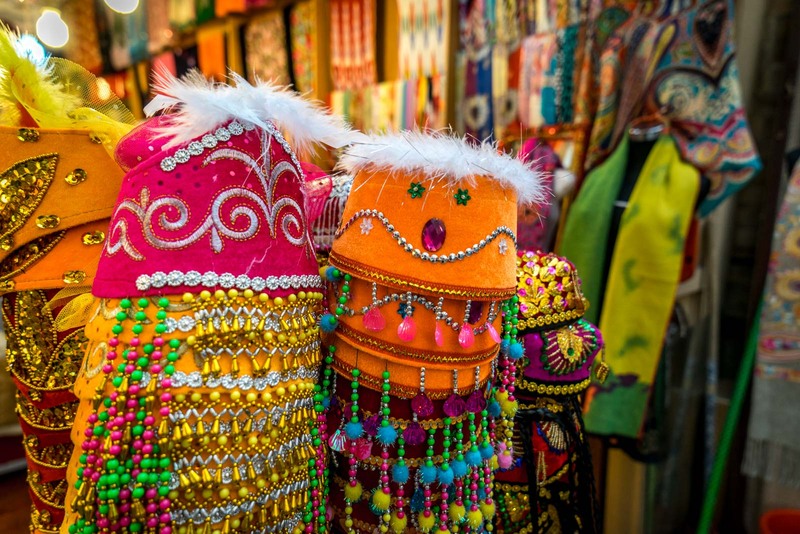 One of the main tourist attractions in Urumqi is called the Xinjiang International Grand Bazaar. When you start to research what to do in the city, it’s usually one of the first things you hear about. But… be warned. All is not as it seems. There are a lot of people coming and going from the market when I arrive, passing through a security check under the watchful eye of Chinese officials. I don’t notice it at first but eventually it occurs to me – these people are all mostly domestic tourists, unlike the market in Kashgar where it was mainly local shoppers. This will become even more obvious as I walk through the stalls and see souvenirs, not household good or groceries. 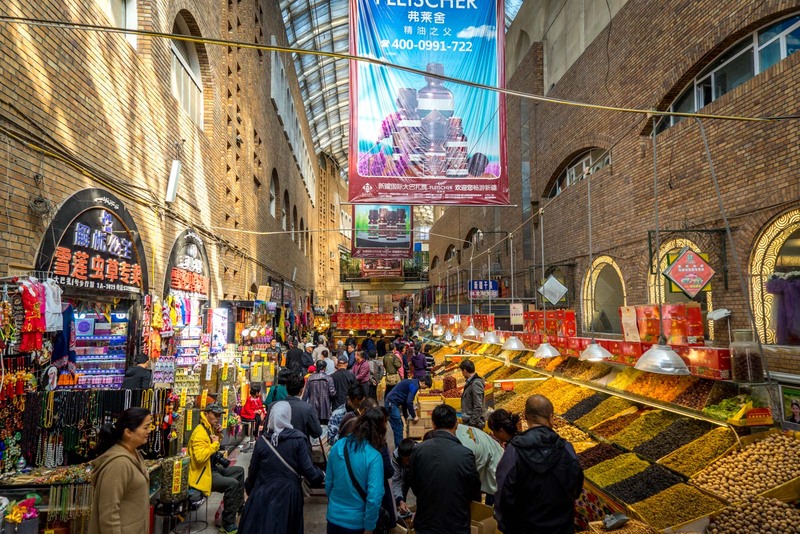 Although it’s often referred to as the Urumqi Grand Bazaar, the market has an official name – the Xinjiang International Grand Bazaar. It claims to be the world’s largest bazaar which is just preposterous. It clearly isn’t and anyone who has been to Kashgar or Istanbul (or probably a dozen other larger markets) would be able to tell you that instantly. Maybe they try to claim it on a technicality of ‘floorspace’ because many of the buildings have multiple levels… but that should be a giveaway that something is amiss here. How many ancient markets have you seen that are spread over different levels with elevators connecting them? 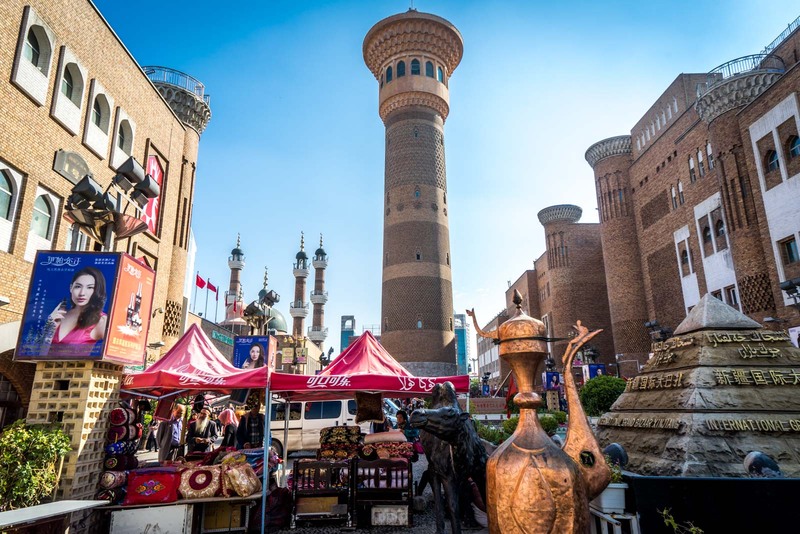 The Xinjiang International Grand Bazaar is promoted as being part of the Silk Road and it claims to be a “window into Central Asia”. There’s just one problem – it was only built in 2003. That’s about 600 years after the traditional Silk Road, as we know it, ceased to exist. The tall tower in the central courtyard looks Islamic, at least. In its shadow, tourists are paying to have photos with eagles or camels. In different directions, you can go into the buildings with the rows of shops. The first ones you come to have trinkets and cliched souvenirs of the region. Go up the escalators and you’ll find shops with cheap generic clothes. 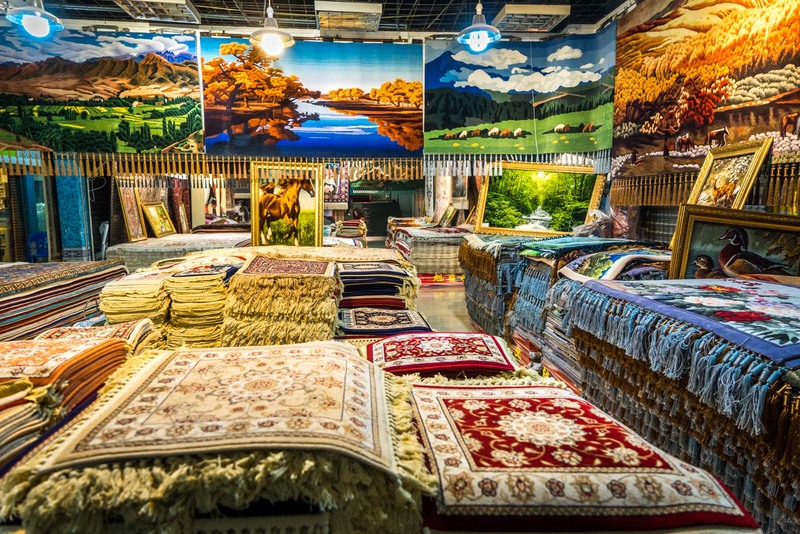 Go downstairs and you’ll find carpets… although it seems many of the shops here are empty. I leave feeling a bit empty too. Nothing here excites me or engages me. I count down the time until I can go. Comparing this to Kashgar, where I could have explored for hours, highlights the contrast even more. The thing is, Urumqi is an important part of the Silk Road networks. Its position in the west of China made it a popular city for traders to pass through. It was a cultural centre that facilitated the flow of ideas east and west. The influences are still here in the city amongst the skyscrapers. I notice it particularly in the food and the Uyghur culture. I can understand why the authorities would want to create a site that celebrates all of this. It’s a pity that it has to be so inauthentic, though. The Silk Road has the potential to be real and relevant for travellers today… or it could be treated like a theme park. I think you know which one I feel the bazaar in Urumqi is. What an exciting market to visit. 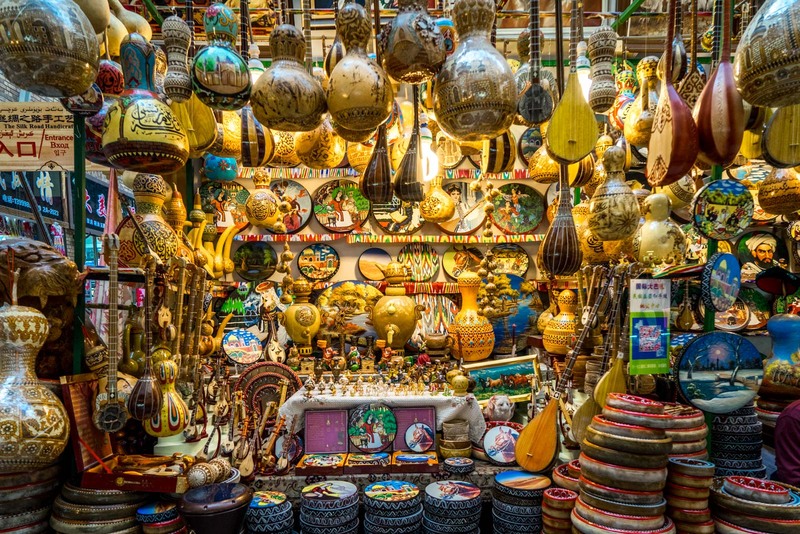 We had the chance to visit a large bazaar in both Istanbul and Morocco and found them just breath taking with colors and sights and sounds. The kids just loved it, too! We always travel with the kids and do our best to make the adventures educational. We taught them about the silk road before the visit to Istanbul which helped us all enjoy the trip even more!